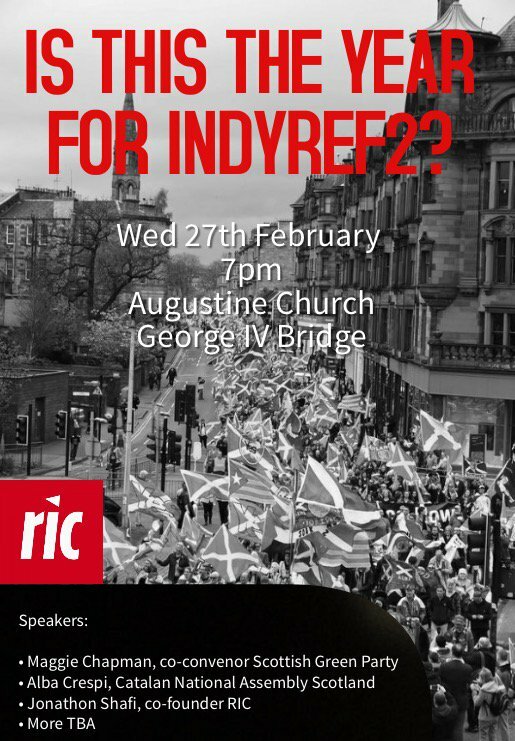 a) Local Groups: Aberdeen, Angus and Mearns, Ayrshire, Berwickshire, Clackmannanshire, Dumfries and Galloway, Dundee, Dunfermline, East Kilbride, Edinburgh, Glasgow South, Glasgow West, Gorbals, Inverness, Moray, Paisley, Rutherglen and Cambuslang, Stirling. b) Affiliated Groups: Scottish Green Party, Scottish Socialist Party, Common Weal, Republican Communist Network, Scottish Federation of Socialist Teachers. 3. National Membership. To become a member of RICS, a person must agree with the five principles listed above. Membership may be cancelled by the individual at any time. Members may use pseudonyms if they wish. a) Membership is free of charge. Individuals may choose to make a one-off or recurring donation, but financial contribution does not confer additional status. Records of donations will be kept separate from membership records. b) Membership is normally required to take part in national coordination teams, working groups, National Forums and AGMs. Membership may not be required for involvement in local RIC groups, as decided by the local group. c) Involvement in a local group is not required for individual membership. However, an individual member who wishes to attend a National Forum will normally require endorsement from their nearest local group, and will count as one of the group’s delegates. d) Membership information will be stored securely in accordance with the Data Protection Act, and further by a more robust RICS Data Security and Privacy Clause, to be developed in 2015. The list will be accessible to the secretarial team only. Under no circumstances will the membership list be made public. 4. Local Autonomous RIC Groups. Local groups will have the same aims and founding principles as RICS, and may be focused on meeting local needs. a) Local groups will be self-organising and self-funding. For example, they may have formal membership or not, and may levy a membership fee or not, as they choose. 5. Affiliated Groups. Affiliated groups may be political parties or other campaigning organisations that support RICS’s aims and founding principles. a) Affiliated groups can be admitted with agreement of the National Forum. All affiliated groups will pay a £50 annual fee. 6. National Forum & Annual General Meeting. The National Forum will be the general decision-making body. There will also be an Annual General Meeting (AGM). a) Local groups are each entitled to send two delegates with decision-making powers to each National Forum. Affiliated groups may send one delegate with decision-making powers to each National Forum. An additional non-decision-making delegate may be sent where a group has made a proposal to the Forum. b) Any RICS member and any representative of an affiliated group may attend the AGM. Four delegates from each local group and two delegates from each affiliated group will hold decision-making powers on behalf of their group. c) It is up to each local group to decide who from their group attends each National Forum, who will hold decision-making powers at the AGM, and who may join national coordination teams (see Point 14), in accordance with their local decision-making processes. 7. Decision-Making. Decision-making at the National Forum and the AGM will be by consensus of decision-making delegates. If consensus cannot be reached, then a two-thirds majority of decision-making delegates will be required. Contentious proposals may be deferred to the next National Forum to allow more time for discussion and clarification. a) If a local group cannot send delegates to a National Forum or AGM but wishes to contribute to the discussion, they may send a brief statement with their views on a proposal or an issue. Statements will then be read out by the meeting’s convenor, and if relevant will count as a group’s decision in the event of a vote. 8. National Forum: Frequency. The National Forum will normally meet every other month. a) Locations for National Forum meetings will rotate around Scotland. Normally no city should host more than two National Forums per year. b) Dates and locations for the year’s National Forums will normally be decided at the AGM. 9. National Forum: Content. Each National Forum will include brief verbal or written updates from local groups on their activities, brief written updates from coordination teams and working groups, and discussion of proposals from local groups and affiliated groups. Coordination teams and working groups may also propose agenda items. a) If group wishes to make a proposal to the National Forum, they should normally send at least one delegate to the Forum to explain and answer questions on their proposal. b) Proposals should normally be submitted two weeks in advance of a National Forum. c) An agenda and the full text of proposals and discussion papers will normally be circulated ten days in advance of a National Forum, to allow local groups time to discuss. Minutes will normally be circulated one week after. d) The documents above will be circulated to an e-mail list including all individual members, local groups and affiliated groups. 10. Annual General Meeting: Frequency. The AGM will normally be held once per calendar year, ten to fifteen months since the previous AGM, normally on the date of a National Forum. The National Forum will decide on the date of the AGM at least two months in advance. 11. Annual General Meeting: Content. The AGM will review annual reports from coordination teams and working groups, approve accounts, and discuss matters of strategic importance, as proposed by local groups or affiliated groups. It will also be able to amend the constitution. a) Proposals for the AGM should normally be submitted at least five weeks in advance. An agenda, proposals and discussion papers will normally be circulated one month in advance. 12. Emergency General Meetings. The National Forum will be able to call an Emergency General Meeting (EGM) at any point by consensus or two-thirds majority. An EGM will have the same powers as an AGM. Any local group may propose that the National Forum calls an EGM. 13. New Local Groups. If a new local RIC group is established, the National Forum will make a decision on whether it can constitute an official group. Factors such as size and existing nearby groups may be taken into account. 14. National Coordination Teams & Working Groups. RICS will have several coordination teams (teams) to handle the day-to-day tasks of the organisation, and several issue-based working groups to develop campaigns in line with the five founding principles. a) Both coordination teams and working groups will be self-organising. Teams will have autonomy to carry out decisions made at the National Forum and AGM. Working groups will have autonomy to progress campaigns agreed at the National Forum and AGM. b) Both coordination teams and working groups will be responsible for submitting reports to each National Forum, and an annual report to the AGM. Regular reports to the National Forum should comprise a brief overview of activities, and annual reports should be more in-depth. Where relevant, teams and working groups should also outline any new decision-making procedures they have adopted. All reports should be written in accessible language. c) Both coordination teams and working groups will have the power to propose agenda items for the National Forum, including proposing additional teams or working groups (for example to run a specific campaign). In this case, a representative from the team or working group should attend the National Forum to explain the proposal. d) Where relevant, teams will work together on common aims, and will support local groups where requested (for example, flyer design, skill-shares, help with organising events, etc). Working groups may also work together on common aims. e) Given that RICS is a national organisation, frequent in-person meetings may not be possible. Therefore coordination teams and working groups are encouraged to use technology to communicate remotely and allow maximum participation. f) Initial teams and working groups will be established at the 2015 AGM, where local groups will be invited to put forward members for teams and working groups. 15. Oversight. The National Forum will have oversight responsibility for coordination teams and working groups. Members and local groups will have access to all reports for scrutiny. a) Facilitation & Events Team to organise & provide a chair for each National Forum and AGM; provide organisational help and facilitation for local groups as requested; collect information about venues, suppliers, etc. b) Finance & Fundraising Team to keep records of RICS’s accounts; pay invoices for expenditure approved by the National Forum; collect membership fees from affiliated organisations; organise national fundraisers; apply for grants and other funding; advise local groups on fundraisers as requested; etc. c) Secretarial Team to collect and distribute proposals; provide a note-taker for each National Forum and circulate minutes afterwards; maintain main RICS e-mail account; maintain e-mail list; distribute promotional materials and other information; etc. d) Promotions & Media Team to create national promotional materials, leaflets, press releases, etc; take care of national social media accounts; maintain the RICS website; collect content from local groups; assist local groups as requested; media relations; etc. e) Safer Spaces Team to deal with violations of the Safer Spaces policy. Reports to the National Forum and AGM will contain suitably anonymised summaries of any concerns raised and action taken. 17. Additional Roles. The National Forum may seek volunteers for particular tasks which fall outside the remit of coordination teams, or establish new teams. 18. Coordination Teams: Membership. Members of teams will be selected by local RIC groups. Each local group may normally provide up to two members to each team, and each team should normally have members from at least three local groups. a) While all local groups are welcome to provide members for all coordination teams, there is no obligation to do so. b) At a team’s discretion, they may accept up to two individual members who are not part of a local group, either due to geographic reasons or due to primary involvement with an associated group. In both cases, the normal requirement for representation from at least three local groups still stands. c) For continuity, membership of coordination teams will normally be at least a three-month commitment. An individual may continue to be part of a coordination team for as long as their local group sees fit. 19. Coordination Teams: Convenor & Other Roles. Each team will select a convenor, to be confirmed at an AGM or National Forum. The selected person should normally be a convenor for at least three months, and not normally more than eighteen months. Any other specific roles may change according to the needs of the team. 21. Working Groups: Membership. Membership of working groups will be more fluid than of coordination teams, comprising any RICS member, with no limit on numbers. a) While all local groups and affiliated groups are welcome to provide members to all working groups, there is no obligation to do so. b) For continuity, membership of working groups will normally be at least a three-month commitment. A person may continue to be part of a working group for as long as they choose. 22. Working Groups: Convenor & Other Roles. Each working group will select one or more convenors, to be confirmed at an AGM or National Forum. The convenor role should normally be at least a three-month commitment, and not normally more than eighteen months. Any other specific roles, including the formation of task-based teams, may change according to the needs of the group. 23. E-Mail Lists & Data Security. The secretarial team will maintain two e-mail lists: a confidential list of all RICS members, and a public list. a) The confidential e-mail list will be maintained in accordance with the Data Protection Act, and further by a more robust RICS Data Security and Privacy Clause, to be developed in 2015. This list will be accessible to members of the secretarial team only, who must agree to keep the information confidential at all times. Under no circumstances will the list be made public. b) E-mails to all members will be sent out via the most secure means available. c) The public e-mail list will contain contact information for local groups, affiliated groups, and convenors of coordination teams and working groups. This list will also be available on the RICS website, so that groups may easily communicate with each other. d) Coordination teams and working groups are encouraged to practice secure data handling and keep their membership lists confidential. e) Local groups and convenors are encouraged to set up dedicated e-mail addresses, rather than relying on personal addresses for RICS correspondence. 24. Powers. RICS will have the power to raise funds, hold assets, open bank accounts, enter contracts, sue and be sued, hire staff and engage in such activities as are necessary to further our aims and principles. 25. Expenditure. Finance related administrative tasks will be handled by the finance & fundraising team. The purpose of all expenditure will be to carry out decisions made at the National Forum or AGM, or to progress campaigns agreed at the National Forum or AGM. All expenditure over an amount decided at the AGM must be agreed by the National Forum. a) The convenor and at least two other members of the finance & fundraising team, from separate local groups, will have the power to sign cheques. All cheques must be signed by at least two members of the team, from separate local groups. b) The finance & fundraising convenor will normally have responsibility for the RICS chequebook. Given that RICS is a national organisation, transactions should be carried out online where possible. c) All online transactions must be authorised by e-mail by at least two members of the finance & fundraising team, from two separate local groups. d) All income and expenditure must be reported to the National Forum and AGM. 26. Travel Fund. The finance team will administer a fund to cover travel expenses for members who travel from their home town/city to attend National Forums or other national meetings, who feel that travel expenses are a burden. Members should normally submit receipts as soon as possible, and no later than two weeks after an event. They will be normally be reimbursed by bank transfer or online transfer within one month after an event. Violent, threatening, or deliberately offensive behaviour is not acceptable and will not be tolerated by the Radical Independence Campaign (RIC). Individuals who engage in these behaviours will be excluded from our gatherings and online discussions. a) A full text version of the Safer Spaces policy is available on the RICS website. b) The Safer Spaces team will have responsibility for dealing with any Safer Spaces issues that arise. If a member of the Safer Spaces team is involved in a local group, coordination team or working group where an issue arises, that member will not be involved in dealing with the issue. c) At the guidance of the Safer Spaces Team, the National Forum or AGM may cancel a person’s membership at any time if they are found to have seriously or continually violated the Safer Spaces Policy.